Let the science set you free. Joe Rogan knows it, you know and I know it, one day marijuana will be legal to use freely for MMA fighters. Not getting high in the locker room a half hour before you fight kind of legal, but someday promotions and athletic commissions won’t bust fighters for weed while they’re training. 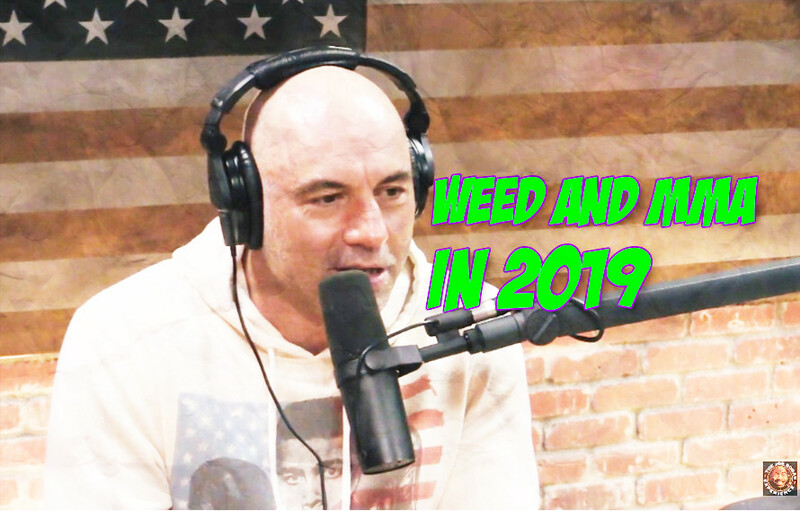 As things likely do, the topic of marijuana came up during Rogan’s interview with Greenfield. We all know training jiu-jitsu while you’re high, but Rogan spoke on strikers training while high to improve their techniques. How would their reaction time be affected? Would there even be any difference if they got the right high or as Joe Rogan put it experienced smokers. The science behind the worlds of weed and MMA training coming together was pretty cool to learn about. Is this the future of MMA training? Are we already living in the future? Have you ever intended to smoke and go train but got distracted along the way and never really got around to it? Yeah, we’d be the worst pro athletes. Check out the full episode of the JRE #1235 with Greenfield below. Next articleBodycam Video Shows Nick Diaz Didn’t Resist Arrest!